A state appeals court panel Wednesday reversed the convictions of former Los Angeles City Councilman Richard Alarcon and his wife, Flora, who were charged with fraudulent voting and perjury by declaration. A three-justice panel from California’s 2nd District Court of Appeal cited a jury instruction given during the Alarcons’ trial in ordering the case against the couple to be sent back to the trial court. “My wife and I are extremely pleased,” Alarcon told City News Service. Alarcon was at City Hall Wednesday to represent his client Hillview Mental Health, in Pacoima, at a Housing Committee hearing on Councilman Gil Cedillo’s House L.A. initiatives. He said he is also interested in efforts to create more affordable housing and to help the homeless because he has a son who is homeless. 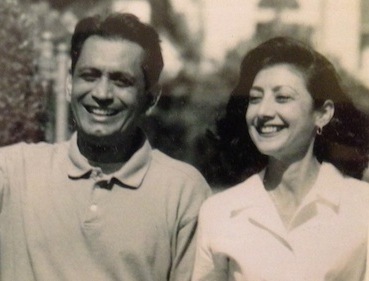 In their appeal, defense attorneys contended that Los Angeles Superior Court Judge George G.
Lomeli erred by giving the jury an instruction on domicile during the Alarcons’ trial regarding allegations that they had lived outside the district he was elected to represent. In a 15-page opinion, the appellate court panel ruled that the jury instruction required jurors to determine whether the Alarcons had physically resided at the home inside his City Council district. “Once the jurors found that defendants had not done so, the mandatory presumption of (the jury instruction) required them to find that home was not defendants’ legal domicile,” the justices wrote. The California Attorney General’s Office could ask the California Supreme Court to review the ruling before the case is sent back to the trial court. Richard Alarcon was convicted in July 2014 of three counts of fraudulent voting and one count of perjury by declaration, but was acquitted of a dozen other felony counts. The charges on which he was convicted involved fraudulent voting in the November 2008 and the March and May elections in 2009, and perjury by declaration involving his November 2008 declaration of intent to become a city council candidate. He was sentenced in October 2014 to a 120-day jail term, along with 600 hours of community service, five years probation and barred from holding public office. He surrendered in December 2014 to begin serving the jail term and was sent home after being fitted with an electronic monitoring device. Alarcon’s wife was convicted of two counts of fraudulent voting in the March 2009 and May 2009 elections, and one count of perjury by declaration involving a provisional ballot in November 2008, and acquitted of two other counts. She was sentenced to 400 hours of community service and five years probation. Deputy District Attorney Michele Gilmer told jurors that the evidence proved the couple lied about living at a home in Panorama City, which was within Alarcon’s city council district. 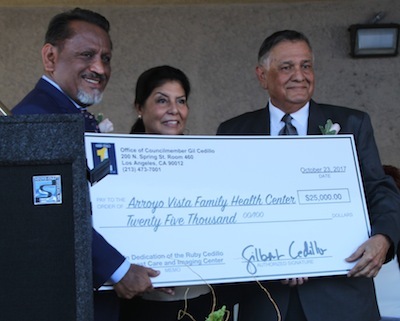 The longtime legislator — who served two separate terms on the city council along with stints in the state Senate and Assembly — insisted that he began living at the Panorama City home within the council district in November 2006. Shortly after a search warrant was served, he told reporters that an intruder had caused significant damage to the Panorama City home during an October 2009 break-in and that he had returned to the house several times to try to repair the damage. He said then that he and his wife were temporarily staying at a house in an adjacent council district. A spokeswoman for the Los Angeles County District Attorney’s Office could not be reached for immediate comment on the appellate court panel’s ruling. El lunes se llevó a cabo un servicio funerario público en honor al alcalde Daniel Crespo. 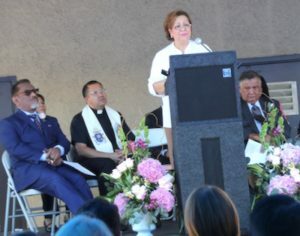 A la Capilla Memorial Rose Hills en Whittier llegaron más de 200 personas para rendir tributo, muchos quienes dijeron que Crespo cambió sus vidas para bien. Crespo, 45, fue fatalmente baleado por su esposa Lyvette Crespo, 43, durante una disputa doméstica, el 30 de septiembre en su casa de Bell Gardens. El servicio incluyó una foto que mostraba el trabajo de Crespo a lo largo de sus 13 años como funcionario electo. Sus compañeros miembros del consejo y amigos hablaron en la ceremonia. Un homenaje privado se celebró el martes para familiares e invitados especiales. Desde el tiroteo no se han hecho arrestos. La Oficina del Fiscal de Distrito aún tiene que tomar una decisión sobre si se presentarán cargos. Más de 50 estudiantes de la escuela intermedia Suva fueron seleccionados la semana pasada para recibir exámenes, como parte de una serie de revisiones y refracciones en el Distrito Escolar Unificado de Montebello. Optometristas certificados hicieron los exámenes de la vista, que se centran en los problemas comunes de la visión como la miopía, la hipermetropía y el astigmatismo. Estudiantes que resultaron necesitar lentes se les enviarán en una semana a su escuela. El programa conocido como Helen Keller International ChildSight continuará con exámenes de la vista en las escuelas intermedias de Bell Gardens, Eastmont, La Merced, Macy y Montebello, así como las preparatorias Bell Gardens, Montebello y Schurr. El ex concejal demócrata de Los Ángeles Richard Alarcón fue sentenciado a 120 días de cárcel, cinco años de libertad condicional, inhabilitación de cargo público y 600 horas de servicio comunitario por voto fraudulento y perjurio.?? Alarcón, 60, había sido declarado culpable en julio pasado de tres cargos de fraude electoral y un cargo de perjurio, mientras su esposa, Flora Montes de Oca Alarcón, fue hallada culpable de dos cargos de fraude electoral y uno de perjurio. Montes de Oca Alarcón, 49, fue sentenciada a 400 horas de servicio comunitario y cinco años de libertad condicional. Alarcón y su esposa fueron investigados después de que asegurasen que residían en la ciudad de Panorama, localizada dentro del Distrito 7 en votaciones realizadas en los años 2007 a 2009. ? ?Las reglas de la ciudad de Los Ángeles exigen que los concejales vivan en el distrito que representan.